Home » What is the difference between Full Truck Load and Less Than Truckload (LTL)? 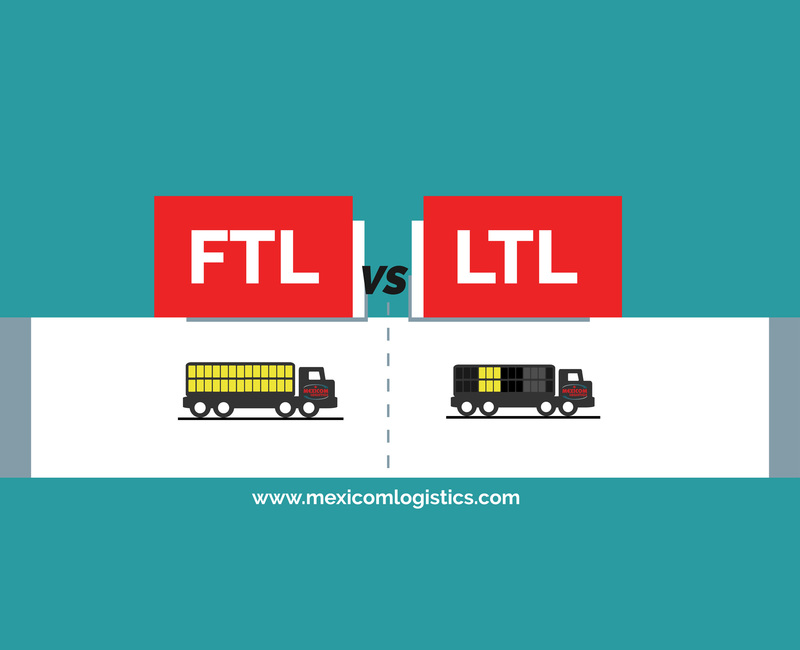 In this post, you will discover the characteristics, advantages, and disadvantages of two transport services: Full Truckload (FTL) and Less Than Truckload (LTL). We will answer questions such as: What is the difference between FTL and LTL transport services? 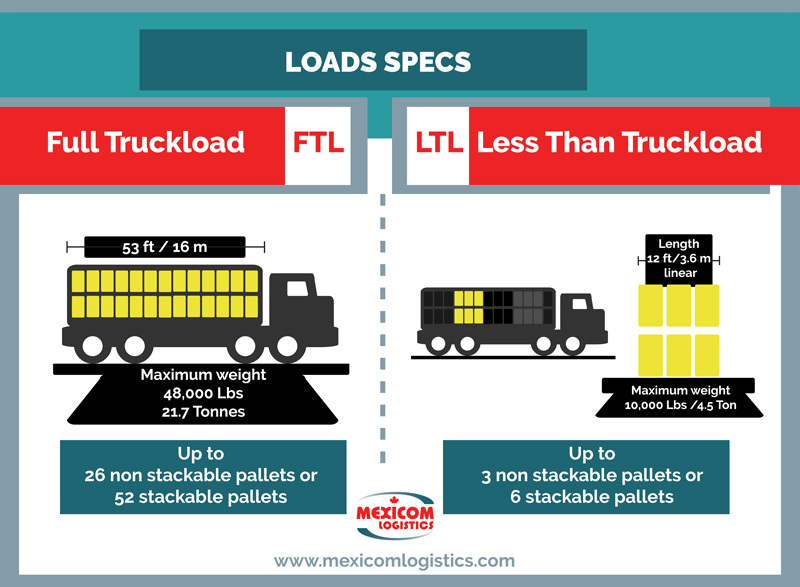 What is the maximum capacity of an FTL and an LTL? 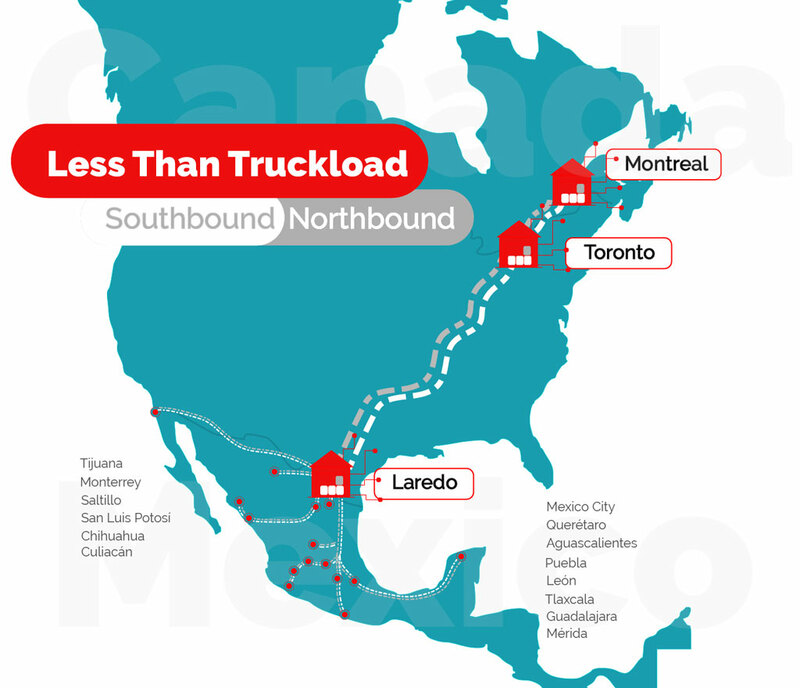 Which transport service should I choose to transport my load between Mexico, the United States, and Canada at the best cost or at the highest speed? 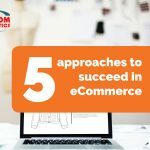 At the end of the post, you will be able to determine which of the two services meets your specific transportation needs. In very general terms, we can say that the Full Truckload transport service (FTL) is recommended for large and heavy loads, while the Less Than Truckload service (LTL) is the best option for smaller loads. However, there are other aspects to take into consideration to fully understand these two transport services. Let’s start by defining each one. What is full truck transport or FTL? FTL or Full Truckload is the ground transportation service in which a complete truck is dedicated to a single load or, in other words, to a single customer. The FTL transport service is suitable for large loads, that are capable of occupying a complete truck. It is also the preferred option for delicate loads or for loads that require regulated temperature. Up to 26 non-stackable pallets or up to 52 stackable pallets of standard sizes. Remember the pallet’s standard measures: 48 “x 40” x 48 “. 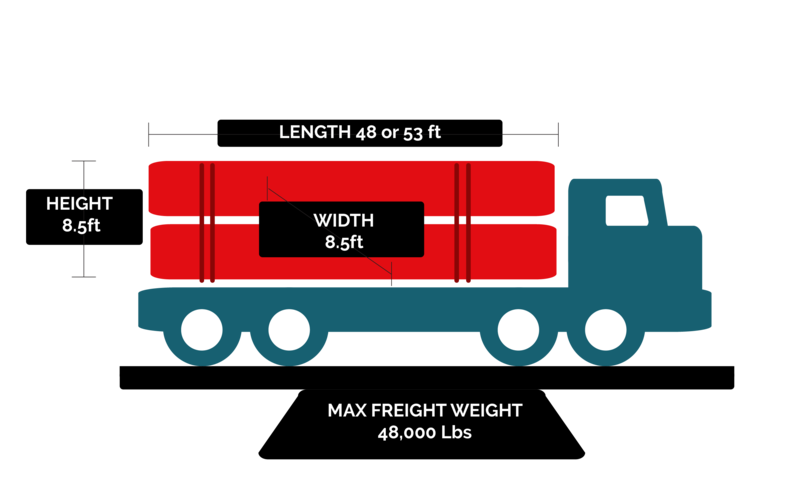 The total weight of the load should be 44,000 pounds or 21.7 tons. Dry Vans: Recommended for delicate loads or for loads that need to be transported in a closed box, protected against external weather conditions. Flatbeds: For loads with irregular shapes; that need to be loaded by the top or side of the truck; or that do not require to travel in a closed space. 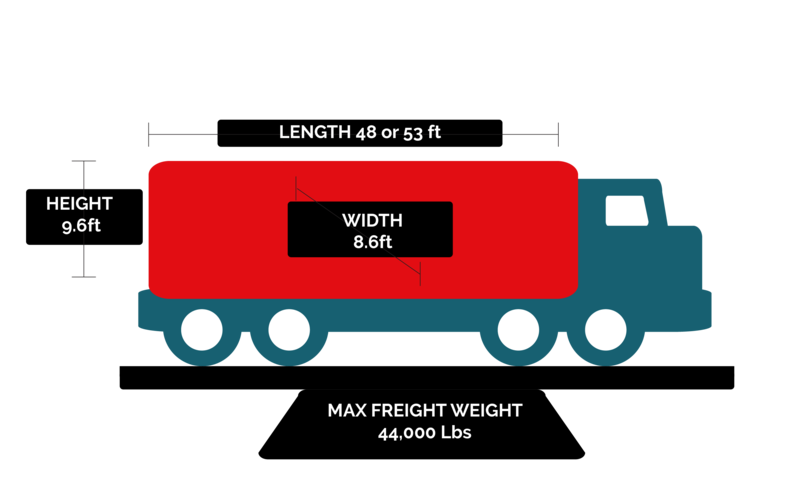 You may be interested in our post: What type of loads are transported regularly on flatbeds? Reefers or temperature controlled trucks: For loads that must be kept at specific temperatures. For example, frozen or fresh products. Now let’s see, What is Less Than Truckload LTL freight transport? Less Than Truckload shipping or LTL is the transportation of freight that combines shipments from multiple customers in a single truck. In other words, as every customer’s shipment does not require a full 48′ or 53′ trailer, the portion of the truck unused is filled up with another customer’s shipment. Each customer pays according to the type (class), amount, weight, size and density of shipment and the length of travel. That is why LTL transport is the most affordable option between the different land transport services. From 1 to 3 non-stackable pallets and up to 6 stackable pallets of standard sizes. Remember standard size of a pallet: 48 “x 40” x 48 “. If your priority is to reduce transit times, the best option for you is the FTL. In the Full truckload transport service (FTL) the cargo is transported from point A to point B without intermediate stops, so it is the fastest transportation service of land transportation options. In the case of Less Than Truckload (LTL) transport services, the transit times are longer because it makes several stops before reaching its final destination. 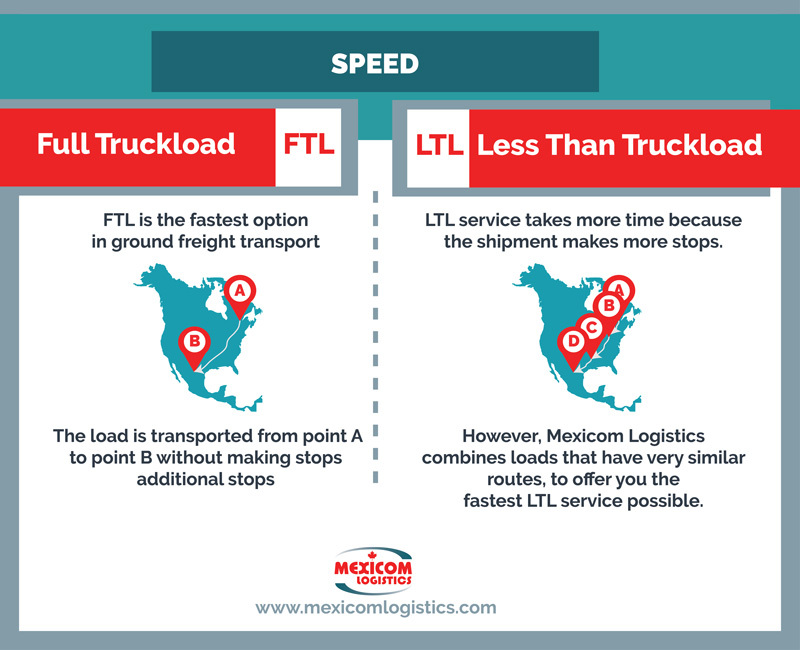 However, Mexicom Logistics can provide LTL services with a balance between speed and price. How do we do it? We chose the most convenient route to reduce the number of loading and unloading points. In addition, we combine our customers’ loads with other customer’s loads that have very similar routes. In this way, we achieve to provide the fastest LTL possible. If your cargo is large enough, the full truck (FTL) is still your best choice in terms of costs. 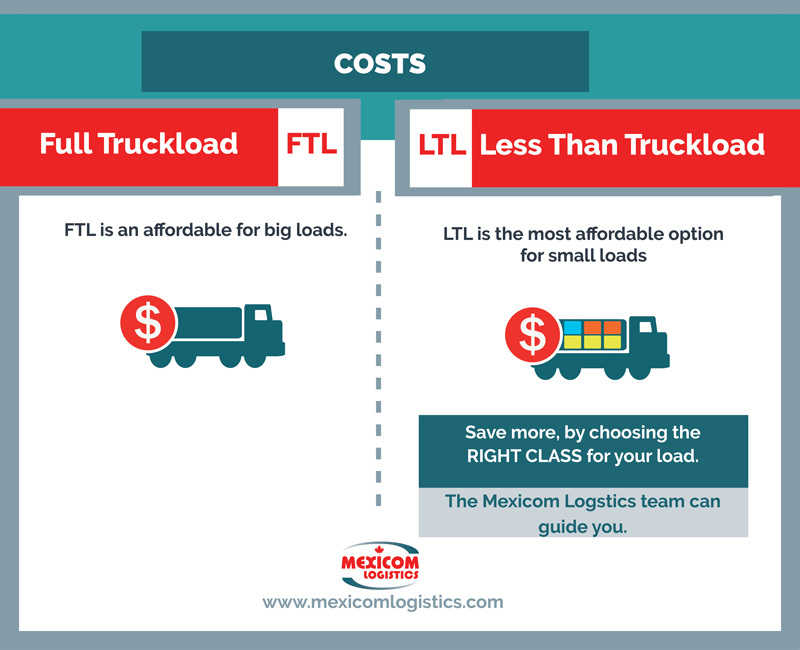 If your cargo is small, the most affordable service will be the Less Than Truckload (LTL). By definition, the LTL transport service is the cheapest service because the total cost of transport is divided among several customers. 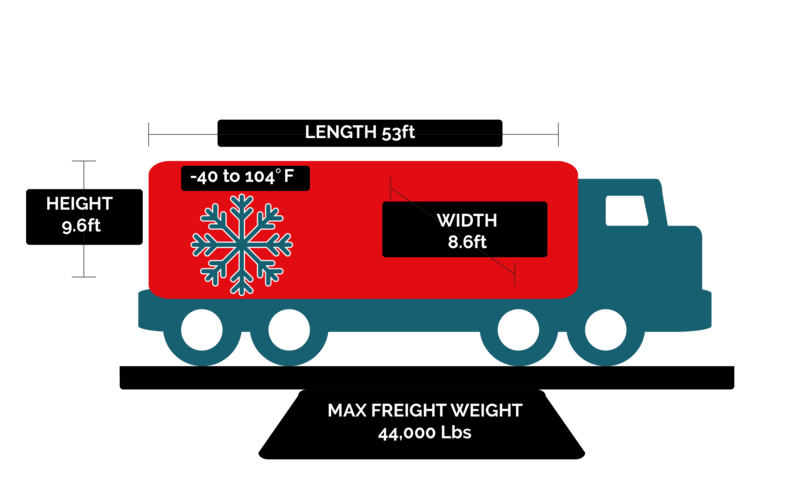 The Less Than Truckload (LTL) is identified by a class (or number) that indicates the type of product and determines the cost of its transportation. It’s simple: the lower the class, the lower the price. It is very important to find the correct class for your shipment, otherwise, you could end up paying more than you should. Our logistics coordinators have the experience to help you identify the merchandise with the right kind and lowest cost for your type of product. In general, a key to reducing costs in both types of transport is to entrust your cargo to a freight forwarder – like Mexicom Logistics- . Freight forwarders have preferential rates because they transport large volumes of goods and make a large number of loads. 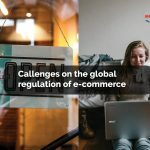 Read also: Why do companies use freight forwarders. If you need more information about full or consolidated truck services to transport cargo between Mexico, the United States and Canada, do not hesitate to contact the Mexicom Logistics team, we will gladly guide you.